I never knew that night time skin regimen is also important. this Vitamin Creme. This is a gentle and light weight moisturizer. This spreads like an essence on the face and is easily absorbed by the skin. uncomfortable slathering two layers of it on my face. and rough skin on my forehead and cheeks. and impurities to reveal skin that glows like porcelain. When I got this gel, it reminded me a lot of the Aqua Cure Gel which I really love. This gel comes in squeeze tube which dispenses product easily. It has a subtle scent. The consistency is like Aqua Cure Gel but more watery. Compared to Aqua Cure Gel, I used more product to make this work better. an affordable price, it works as good as my Aqua Cure Gel. It removes the dry and rough areas of my skin. I tried using it on my face and it felt so gentle that it did not irritate my skin. I love using this product on my knees, elbows and arms. The consistency is very light and runny compared to the Aqua Cure Gel. How it looked like after gently rubbing it on my skin. Tip: Make sure your skin is dry before using this product. Gently rub it in circular motion on problem areas. I love using it on the side of my nose, chin, elbows , arms and knees. let water run through the area and pat dry. A smoother and softer skin will be instantly felt. I highly recommend the Hayan Oatmeal Peeling Gel to all my readers. It is a great dupe for the much raved Aqua Cure Gel at such an affordable price. Spray mist leaves a feel of rich moisture in our skin. It is absorbed quickly and keeps the skin moisturized all. Mist nourishes the skin with minerals from deep sea water. It's official, I am addicted to facial mist. I am currently in the facial mist phase. I love how it can make my face look refreshed and dewy. not help in making makeup last longer. it to a smaller bottle with a good sprayer. Have you tried Hayan Korea? What are your recommendations? Visit Hayan Korea in Facebook here. 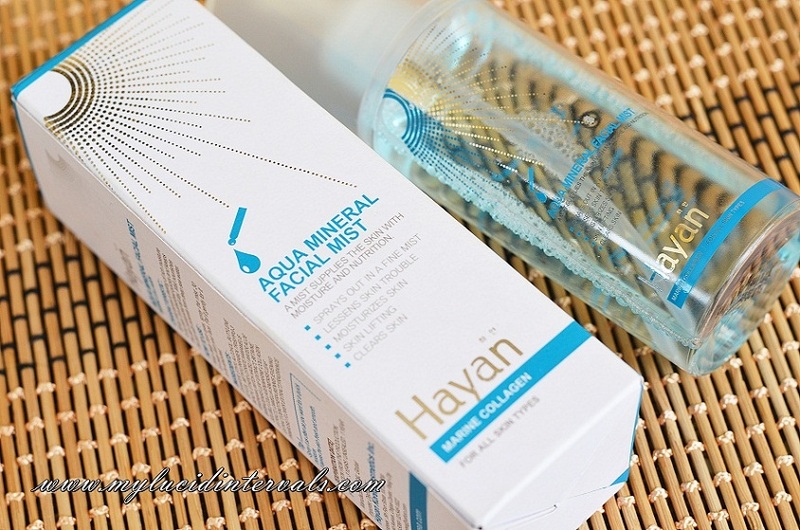 I'd been reading a lot of good reviews for Hayan products. I have their Snail Eye Cream and I'm scared to use it as much as I want to (I currently use it pero sparingly lang 1-2x a week) because the ingredient list has Mineral Oil like right smack at the beginning of the list. Mineral oil is comedogenic property and if your skin is sensitive to that, it may cause break outs. My skin is not sensitive at all so I still use it, but I don't want to take the chance! Hayan Snail Cream (green)- Napansin ko hindi na super dry ung skin ko simula nung ginamit ko to. di ko na matandaan yung mga price nya naka sale kasi, and I got the Gold Caviar BB Cream for free kasi naka 700+ ako that time., Super happy ako kasi i have 5 products in 700 pesos, compared to Etude malamang 2 lang mabibili ko doon, I love Hayan! so many girls are using this brand already. Am I the only one not using products from this brand? and btw, I wanna use the facial mist!! Im so very interested in facial mists that I wanna buy one every single time I read a post about it. :) loving the review!